Full of grit and grace, Justine Froelker uses her fiery passion, the occasional curse word, and witty humor to share her vulnerability and truth to light up the world. Justine is an advocate for speaking unspoken shame and choosing to thrive when life doesn't turn out how you hoped, dreamed, or planned. Her spirit helps others to feel seen and empowered to change their own lives, no matter what hand they’ve been dealt and to ultimately do the work of happy. Justine is a Licensed Professional Counselor and a Certified Daring Way™, Dare to Lead™ & BOLD-A Courage Building Program for Adolescents Facilitator (based on the research of Dr. Brené Brown) with 19 years of experience in mental health. She is the author of her best-selling books, Ever Upward and The Mother of Second Chances. Justine’s newest book, The Complicated Gray, released Fall 2018. Justine's work can be found at The Huffington Post, the YouVersion Bible app, Reflective Prayer, Great Day St. Louis, Justine's YouTube channel, and podcast, Authentic Enoughness! During the Summer and Fall of 2017 she was blessed with her Rising Ever Upward tour where she offered workshops and intensives in eight cities across the country. In 2017 she spoke at both TEDxUMDearborn and TEDxLaSierraUniversity. Justine currently lives in Saint Louis with her husband, Chad, and their three dogs. She enjoys her childfull life by spending time with friends and family, practicing creative self-care, laughing (many times at herself) and building butterfly gardens on her acre of land, which has made her an accidental butterfly farmer. Justine has had the honor to guest on many podcasts and write for different features talking about courage, resiliency, infertility and loss, and her faith journey. Listen to her featured interviews below! While our stories of loss and tragedy can leave us feeling lost and unworthy, Justine writes how it’s possible to change your perspective to embrace a feeling of enoughness. Justine explains why we must stop describing our stories as hard and start living vulnerably in raw authenticity. Justine discusses her personal life story, which she no longer calls hard, to illustrate how we can all choose active acceptance when life hands us something we don’t want. Justine shares how God gave Her strength during and in the aftermath of her personal heartache with infertility, especially at the holidays. 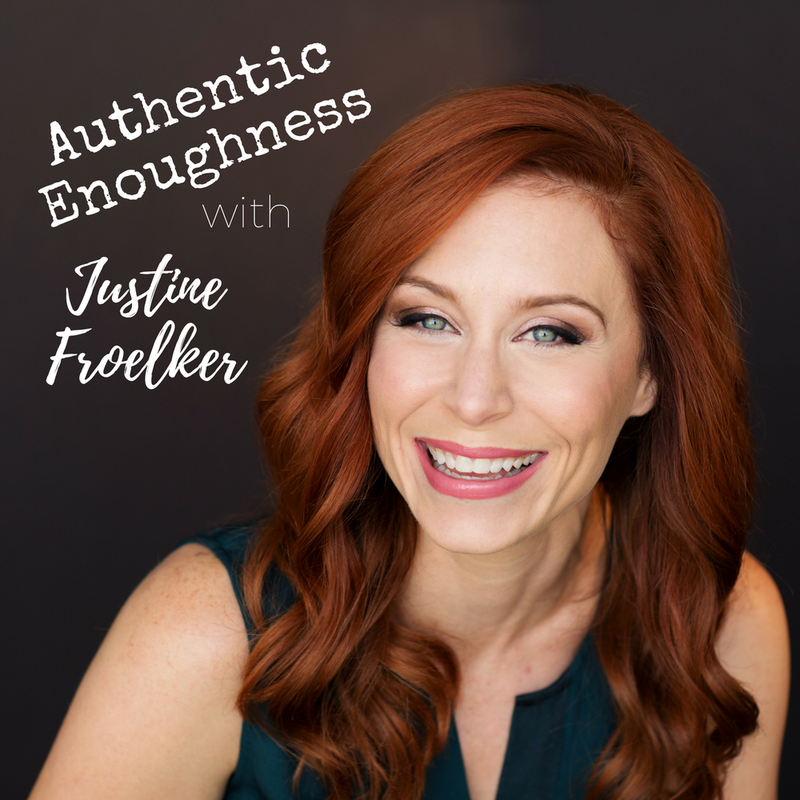 Hear how justine is all about courage and vulnerability and how she uses her background as a mental health therapist as a bold personal development entrepreneur. Justine Talks about being a grieving mother and miscarriage, and how she chooses to see the gifts in everything. She talks about the 6 ways we avoid feelings, and not taking things personally. All things grit & grace. One of jessica’s episodes so far! Justine tells her powerful story from body cast, her infertility journey and becoming a mom to butterflies. justine believes that in order to bravely move forward, we must not only re-write our old stories, we must also let them go. These are the freedom steps. How do you re-write your stories using ‘and’? stare down grief in the face with Justine as she empowers you to reject shame and encourages you to thrive EVEN when life doesn't turn out how you hope, dream, or plan. Learn how justine found God in the midst of loss, miscarriage, and disappointment and the heart she now has for walking with others in seasons of grief. Justine chats about overcoming grief and how we can empower ourselves to overcome any odds through faith, and by responding to the Holy Spirit. Amd Don’t forget justine’s podcast! With her raw humor, passionate teaching, and real alotness, Justine will challenge your old thinking, make you laugh, and show you ways to change your life. Self-Care, Grief, faith, and much more!